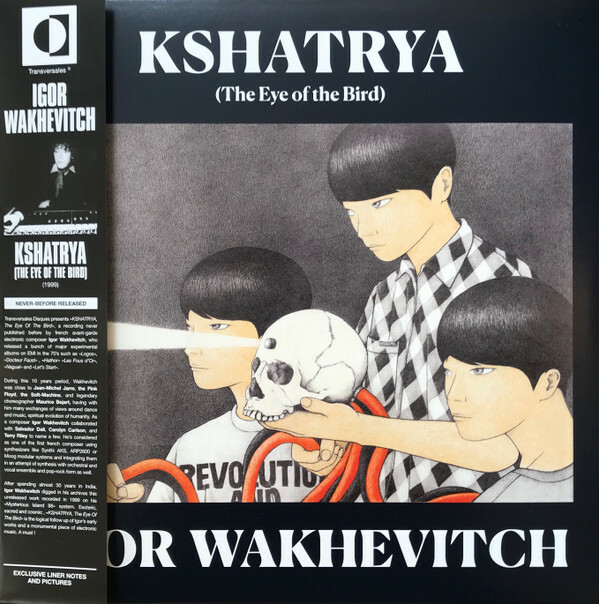 Transversales Disques presents « KSHATRYA, The Eye Of The Bird », never released before recording by french avant-garde electronic composer Igor Wakhevitch, who composed a bunch of major experimental albums in the 70s such as « Logos », « Docteur Faust » , « Hathor » "Les Fous d'Or", "Nagual" and "Let's Start" During this 10 years period, Wakhevitch was close to Jean-Michel Jarre, the Pink Floyd, the Soft-Machine, and legendary choreographer Maurice Bejart having with him many conversations around dance and music, human body and soul, spiritual path, collective life, new society, human evolution. As a composer Igor Wakhevitch collaborated with Salvador Dali, Carolyn Carlson, and Terry Riley to name a few. He's considered as one of the first french composer using synthesizers like Synthi AKS, ARP2600 or Moog modular systems. After spending almost 30 years in India, Igor Wakhevitch digged in his archives this unreleased work recorded in 1999 on his « Mysterious Island 88 » system. Esotheric, sacred and cosmic , « KSHATRYA, The Eye Of The Bird » is the logical follow up of Igors early works and a monumental piece of electronic music. A must!